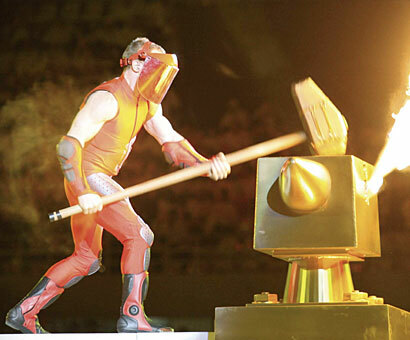 Spectak Productions returned to Europe when Ric Birch joined forces with Filmmaster Group in Milano to create the winning bid in the competition to produce the Opening and Closing Ceremonies of the 2006 Winter Olympic Games in Torino. It was the beginning of a creative partnership with Filmmaster that continues to this day, with the two combining forces to create major productions in Italy and beyond. Torino was the first example of their collaboration, and for the International Olympic Committee it has become one of the milestones of modern Olympic ceremonies. It also became a favourite with audiences, combining wit and style with passion and scenes of extraordinary beauty and the unforgettable final public performance of the late Luciano Pavarotti.